Stylewise, I don't think Ellie Goulding has been the most consistent. Today(July 6th) in London, she hit the blue carpet at the 2018 Nordoff Robbins O2 Silver Clef Awards. 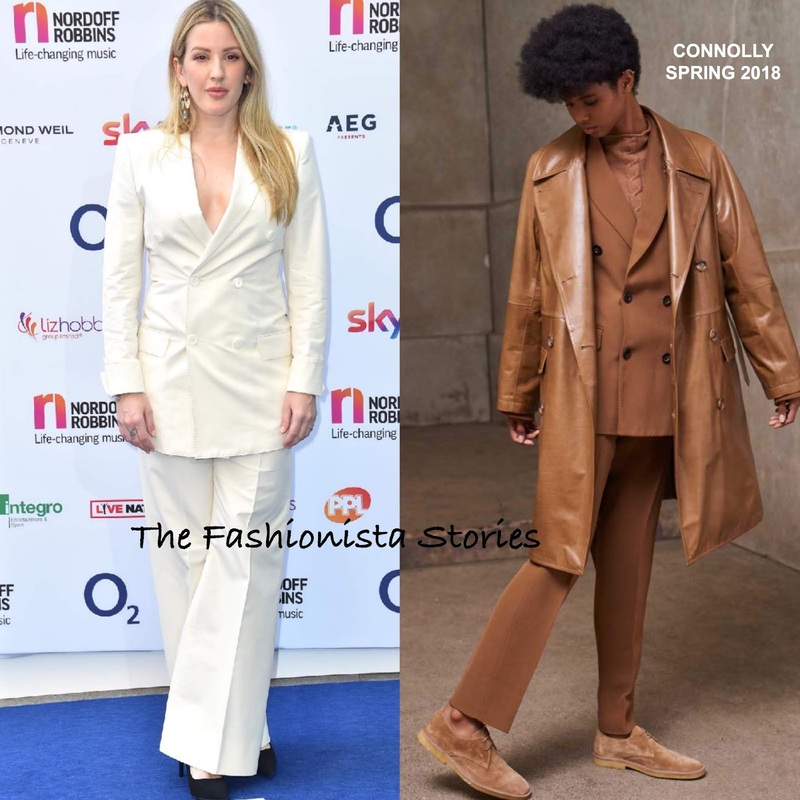 For the occasion, she wore a CONNOLLY SPRING 2018 white double breasted jacket which she teamed with white wide-leg trousers. I love the hazelnut version in the look book but the white works better for Ellie. However the fit of the jacket is the main issue here. You can see how it's pulling around the bust which throws the fit off and because she is on the move, the creases are simply inevitable. Also the black pumps are a snooze. However I do like the MULBERRY statement earrings, which you can get a closer look via her stylist instagram.